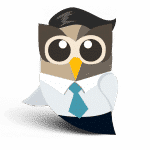 You don’t have to use social media to generate leads for business, but why wouldn’t you? With more than 750 million global users on Facebook and 460,000 new Twitter accounts added each day, your current and potential customers very likely are using social media. There’s a strong possibility they are talking about your industry – or your brand – right now. 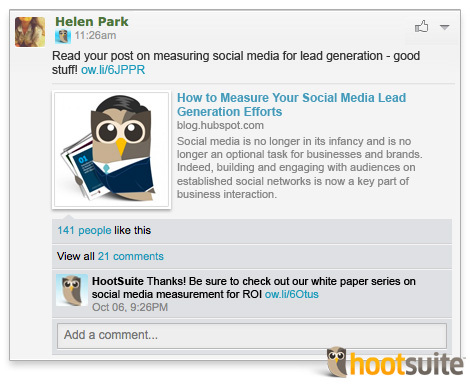 What’s more: Tweets and Facebook posts are indexed by search engines like Google. If you invest time to monitor conversations and create content that relates to the discussions you find, you’ll not only reap the immediate community engagement benefits of this activity. You will also see the search engine optimization advantages from your evergreen content. 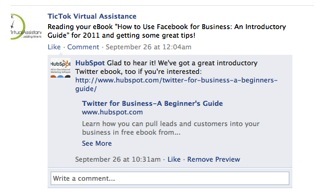 As you can imagine, the lead generation possibilities in social media are clearly huge. First and foremost, learn what your customers, your competitor’s customers and those discussing topics associated with your industry are saying. This requires a daily check-up of such conversations on each social media platform. Set up searches for your brand, your main competitors and key topics related to your industry. Platforms like Twitter are particularly conversational, so try Twitter searches that tap into the language real people use, with competitor brand names and terms of sentiment like “love,” “hate,” etc. 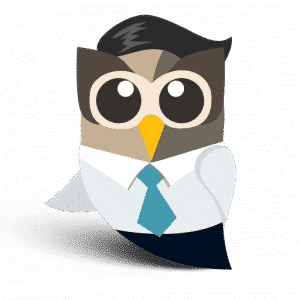 and save these searches as streams in your HootSuite dashboard so you and your team can efficiently monitor the very real view of people’s questions and opinions. 1. Create content that answers the questions you see and relates to the conversations you find. 2. Engage directly in the conversations. Use the knowledge you glean from listening to conversations on social media as ideas for content. Answer common questions by prompting discussions or creating blog articles. Then, elaborate on common themes in more extensive pieces of content like eBooks, webinars or how to video series. When you create content that answers questions, you have something valuable to offer the conversation. This draws in more qualified prospects who use search engines to find answers and information that that can be provided by your content and website. Optimize for both on-page and off-page search engine optimization. For on-page SEO, optimize each blog posts’ page titles, meta tags and headlines for the keywords that matter to your business. You can use a free tool like Google Adwords’ keyword research tool to research popular keywords and variations of those phrases to get a sense of what you want to rank for. Off-page SEO means generating inbound links to your content. Commenting and guest posting on other blogs relevant to your business are just a few ways you can generate inbound links. Have a great blog post? No one will know about it if you don’t spread the word. In addition to having an editorial calendar for your blog, you want to have a content publishing schedule to promote your content. Each day, plan how you will share your content on your social channels. 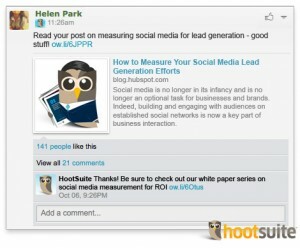 HootSuite’s Publisher tool allows you to schedule, view and edit all of your updates in advance. But don’t stop there: Don’t be afraid that you’ll flood your followers with the same messages if you Tweet content more than once a day. In fact, that’s a good thing, as not every follower lives in your time zone. So long as you vary the message, you can share the same content a few times in order to gain maximum exposure. Generating leads, after all, is just the first step. Analyze what content, traffic sources and social media channels produce the most page views. 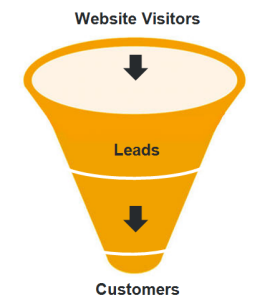 Consider what sources, content and keywords bring visitors that convert to leads. Identify the paths people take to conversion, then, use that information to connect your social media lead generation to your lead nurturing and marketing automation efforts, personalizing your communications at each step of the funnel and helping you close more sales.